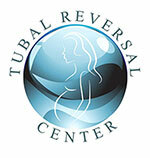 To schedule your Tubal Reversal, please call us at 985-518-4449. We schedule Tubal Reversal surgeries on Monday through Thursday during regular office hours (8am to 5pm). If you haven’t already completed a consultation, the nurse will request your tubal ligation history to be sent to our office via email or fax. Dr Morice will then review your history to determine if you are a good candidate for Tubal Reversal surgery. If you are a good candidate for Tubal Reversal, one of our nurses will contact you to schedule your surgery. Once you have confirmed a surgery date, we require a $1500 deposit to secure your appointment. This is a non-refundable deposit that is applied to the total cost of your Tubal Reversal surgery. You will need to provide the name and number of a local laboratory where you can get your preoperative laboratory work done. One of our nurses will fax the order for the lab work to your chosen laboratory. We will then send you a form to sign and send back to us confirming that you understand the Tubal Reversal procedure, the scheduling, and the payment process. We will also send you an informational packet with directions and information on hotels in the area. Next, you’ll need to make travel arrangements for your surgery. Our clinic is in Morgan City, Louisiana, which is where your preoperative appointment will be held the day before youyour Tubal Ligation Reversal surgery. This is also when the remainder of the surgery fee ($3750) is due in full. The surgery center where you will have your Tubal Reversal surgery is located in Houma, Louisiana, which is about 25 minutes away from our Morgan City clinic. We recommend getting a hotel in Houma so that you are close to the hotel before (and possibly after) your. Due to the high volume of patients that Dr Morice brings to Houma, his patients are offered discounts at nearby hotels. Please note that you must have a responsible adult to drive you to and from your surgery and remain there while you are having surgery. Once your lab work is done and your travel arrangements are made, you are all set for your surgery date!